No matter how much I don’t enjoy post-millennial ghost stories like The Conjuring and some of the other boring, by-the-numbers mainstream claptrap we have seen lately, I still think I should give new ones a go. 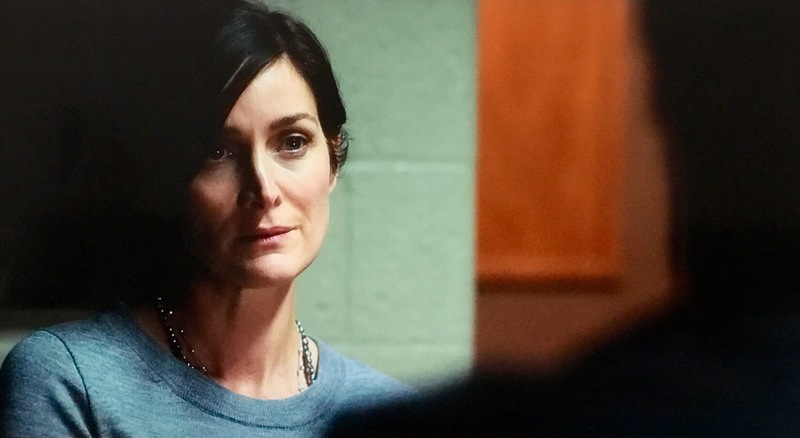 I think that some helped by the allure of actors I like, like in this case Carrie-Anne Moss, Faye Dunaway and Doug Jones. It’s not an obsession, it’s just that in a world where in cinema we occasionally criticise sequels, remakes and adaptations for their lack of originality, I just hope that one of these new films will thrill or at least tell an interesting story. Sadly, that hasn’t happened here with this quite bloodless, boring film, directed by Stacy Title, from a script written by her husband Jonathan Penner, and based on the book ‘The Bridge to Body Island’ by Robert Damon Schneck. Our story introduces us to Elliot (Douglas Smith), his girlfriend Sasha (Cressida Bonas) and their friend John (Lucien Laviscount), university students who have decided to take up residence off campus, financially assisted by Elliot’s scholarship. They are free to use any of the furniture found in the abandoned house, and quickly address any problems that the house may have. One of those problems comes from when Elliot finds a bedside table that has written repeatedly ‘don’t say it, don’t think it’ in the drawer lining, and when Elliot removes it he finds the words ‘The Bye Bye Man’ engraved into the wood. The problem with those four words is the insidious effect it has. 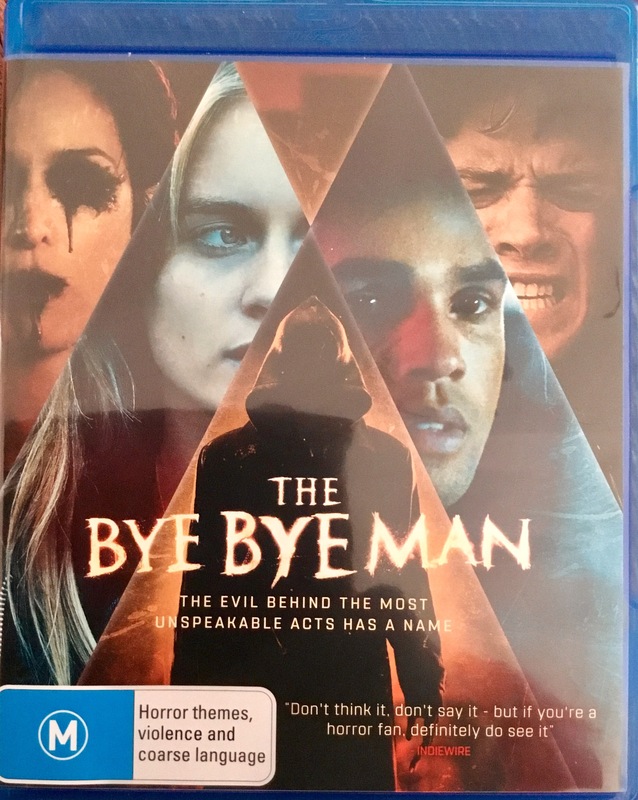 Once there is knowledge of the Bye Bye Man, he can return from wherever he is to slowly drive those who know of his existences Mad with obscure and mentally damaging visions. 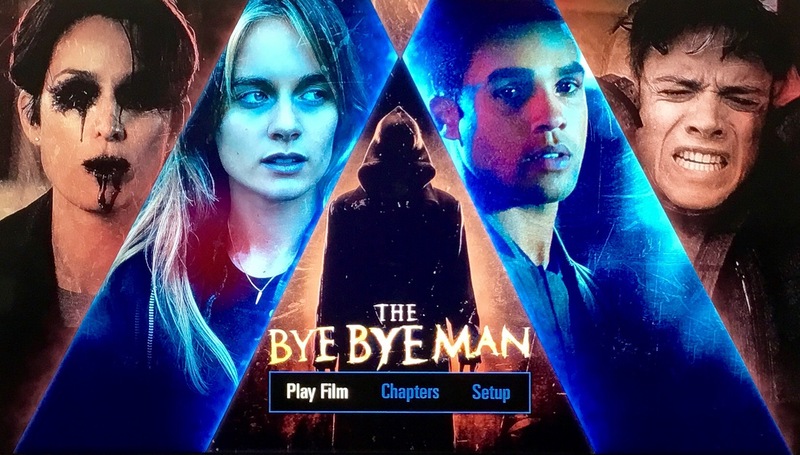 Very soon, and something we already knew through a few flashbacks, Elliot sees the only way to rid everyone of the plague that is the Bye Bye Man is to delete his existence, and existence that is only present in people’s minds… so those minds needs to be deleted, with extreme prejudice! This story has basically taken the idea that the Nightmare on Elm Street films initially proposed of a supernatural existence that can only survive if there are people to believe in it, which in itself, comes from a philosophical theory that Gods need humans to praise them, because without a conscious entity to believe in them, they will perhaps cease to exist. 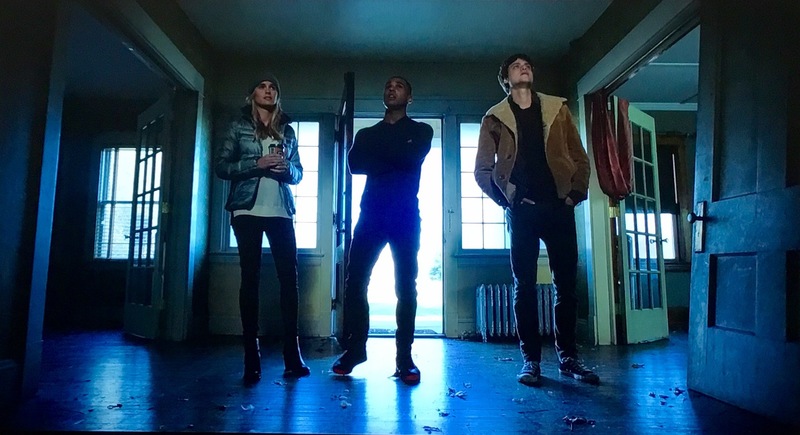 It’s also claimed that this is based on a true story of a group of friends and a haunted Ouija board in Wisconsin but me being a non-believer in the spirit world, I don’t believe it and that also doesn’t make the story better being based on a ‘true’ story. The various actors in this film perform their roles ok, but the real bummer is the minimal screen time given to those that I actually wanted to watch the film for: probably barely 8 minutes altogether. It’s also quite bloodless. 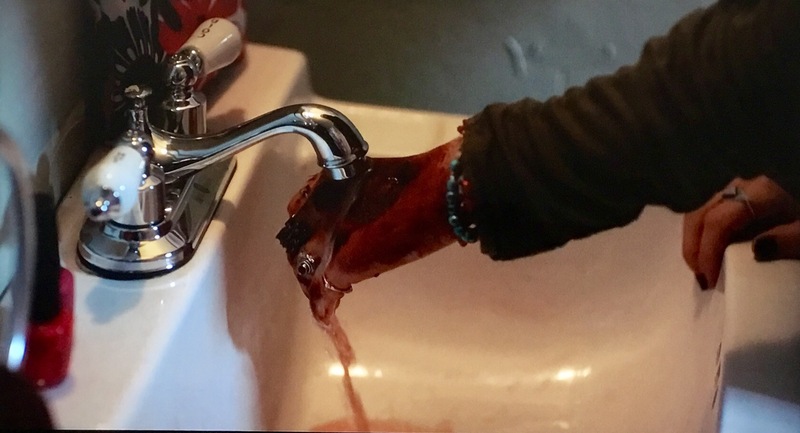 There are occasions where you see the results of violence of people’s bodies or on the floor, but there are a couple of ‘shotgun violence’ scenes that perhaps there was an intention to add CGI blood and guts that was either forgotten or didn’t eventuate. These scenes are in flashbacks so maybe the director decided to make this scenes more ethereal and dreamlike, but more than likely they flat out ran our of money when it came time to cash some cheques. If dreamlike was the intention: that’s a massive fail. Basically, another fancy new ghost story that fails on several counts… can we just go back to monsters or something please? Thanks. Format: This film was reviewed using the Australian region B bluray which runs for approximately 96 minutes. The film is presented in a perfect 1.85:1 widescreen image and an immaculate Master Audio. 5.1 audio track. Extras: Disappointingly, none. Even a ‘based on the true story’ sort of thing could have been amusing. WISIA: Nup, and I’ll probably throw this one away. This is exactly what happens when people who have no knowledge or passion for horror make a horror movie purely to make money.